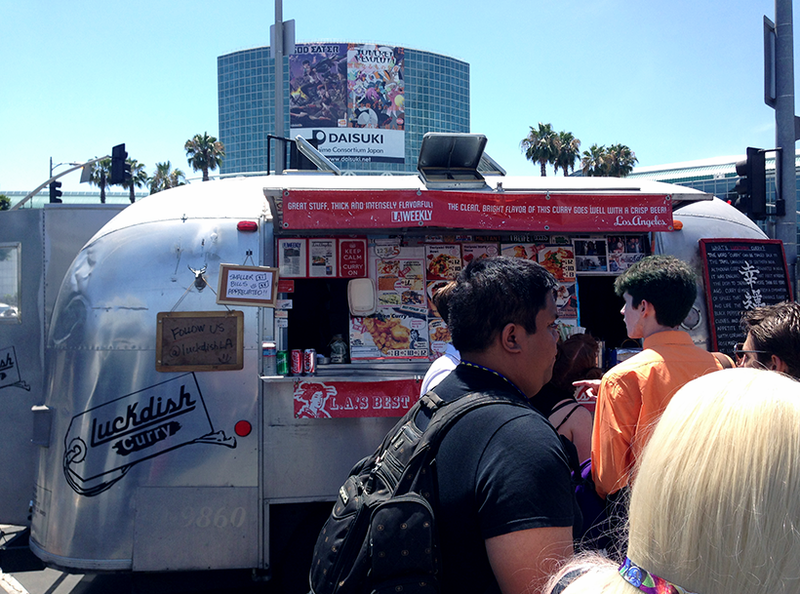 Luckily, the food truck lot at Anime Expo had a Japanese curry booth…and that’s where I stumbled upon Luckdish! There was a bit of a line but I didn’t care! I was starving, and curry is a hearty meal that will fill up your stomach. 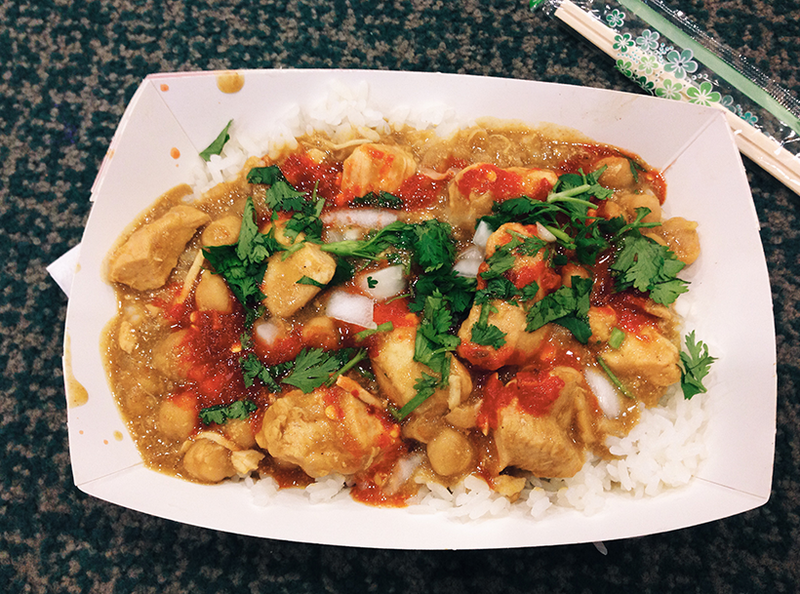 I got a medium chicken curry bowl ($10) with a spicy level of two. I can’t do spice at all, and level two didn’t really feel like a two lol. I was expecting mild spice but got a load of sriracha? on top of my curry. Had a bit of a kick which took a little getting used to. Although I complain about the spice, I got the same level the next day! Tasty chicken curry on top of a bed of white rice with onions, beans, and parsley. So tasty, and it smelled so good! Definitely recommend them if you’re a fan of curry. They’ve got some other things on their menu such as curry burritos, quesadillas, and nachos! You can catch them over on their website, and on twitter. Tbh I'm not very big on the taste of Sriracha but that serving looks delicious. Also very curious to try curry burritos and nachos!